Nicole Kidman, Reese Witherspoon and the gang will be back in 2019. 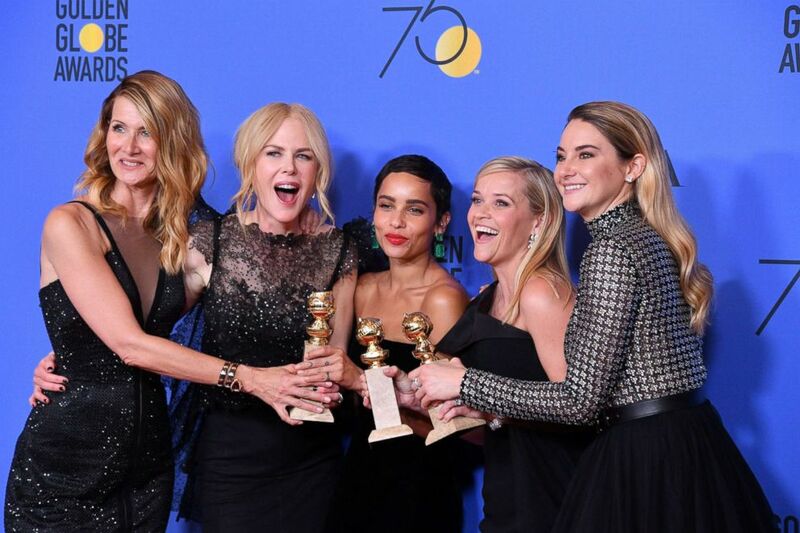 "Big Little Lies" is not only returning for a second season on HBO, but the award-winning drama's stars will be earning a heftier paycheck. 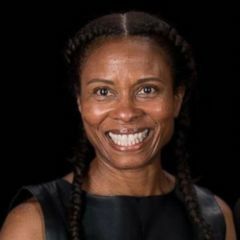 Casey Bloys, the president of programming for HBO, confirmed reports that the cast received significant pay increases, though he didn't specify how much. Some outlets have reported that Reese Witherspoon and Nicole Kidman, who also produce the female-driven series, will earn $1 million per episode. "A show like that is a gift to a network," Bloys told The Hollywood Reporter in a recent interview. (HBO) Shailene Woodley, as Jane Chapman, Reese Witherspoon, as Madeline Martha Mackenzie, and Nicole Kidman, as Celeste Wright, in a scene from "Big Little Lies." With the show and its stars at the center of a shifting cultural conversation around gender inequity, HBO has re-examined salaries on some of its other shows as well. "In fact, we just finished our process where we went through and made sure that there were no inappropriate disparities in pay; and where there were, if we found any, we corrected it going forward," Bloys said. "And that’s is a direct result of the Time's Up movement." (George Pimentel/WireImage via Getty Images) Laura Dern, Nicole Kidman, Zoe Kravitz, Reese Witherspoon and Shailene Woodley of "Big Little Lies," pose in the press room during the 75th annual Golden Globe Awards at the Beverly Hilton Hotel, Jan. 7, 2018, in Beverly Hills, Calif. Besides working to increase the number of female-led dramas -- Bloys greenlit the upcoming "Sharp Objects," with Amy Adams as the complicated female lead, and "My Brilliant Friend," about lifelong female friendship -- he is working to increase the number of women behind the scenes, as writers and directors. Andrea Arnold is replacing Jean-Marc Vallée as director for the second season of "Big Little Lies." Meryl Streep has also joined the cast as Mary Louise Wright, the grieving mother of Alexander Skarsgård's character, Perry, who was killed in the season one finale. 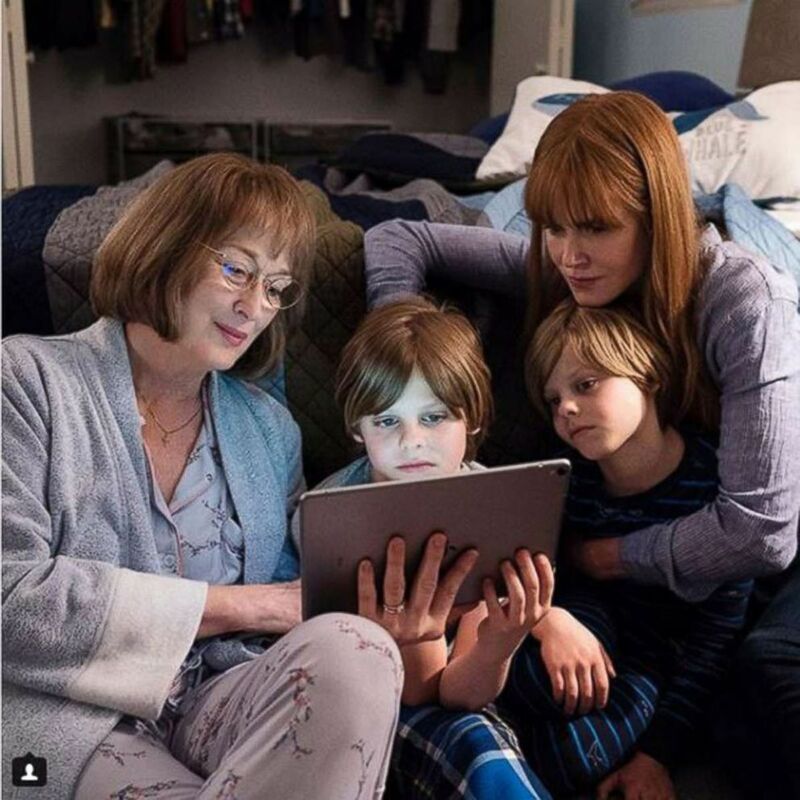 (HBO) Meryl Streep and Nicole Kidman as Mary Louise Wright and Celeste Wright in a scene from Big Little Lies 2. "Big Little Lies" is based on the 2014 novel by Liane Moriarty and centers on a group of women, played by Witherspoon, Kidman, Shailene Woodley, Laura Dern, and Zoë Kravitz, all trying to make sense of their lives. The HBO show won a slew of awards over the past few months, including the Emmy for best limited series and the Golden Globe for best miniseries or television film. Kidman, Skarsgård, and Dern all won individual Emmys and Golden Globes too.